I represented FANHS Seattle and NU at the beautiful Kona Kai Resort in San Diego last week. It was a privilege and amazing fulfillment of blessing and academic work to share new history research there. 1938 Senior Class photo, Northwest University Archives. On a bright tropical day I walked into a conference room to show recently uncovered archive images I’d curated. 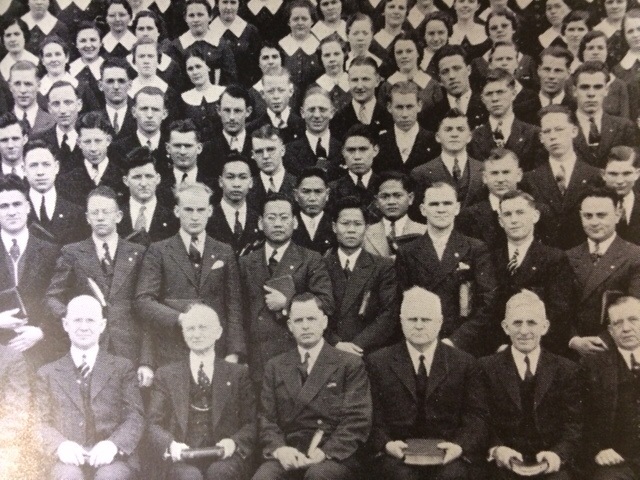 I began telling the story of how I was walking through a school hallway and noticed an image of Ilocano men peppered into the 1937 student body picture of Northwest University. I brought attendees with me through the past about the unknown connections between the Manong Generation, Seattle’s Chinatown and the World Assemblies of God (AG). A forgotten American and Christian experience was remembered. 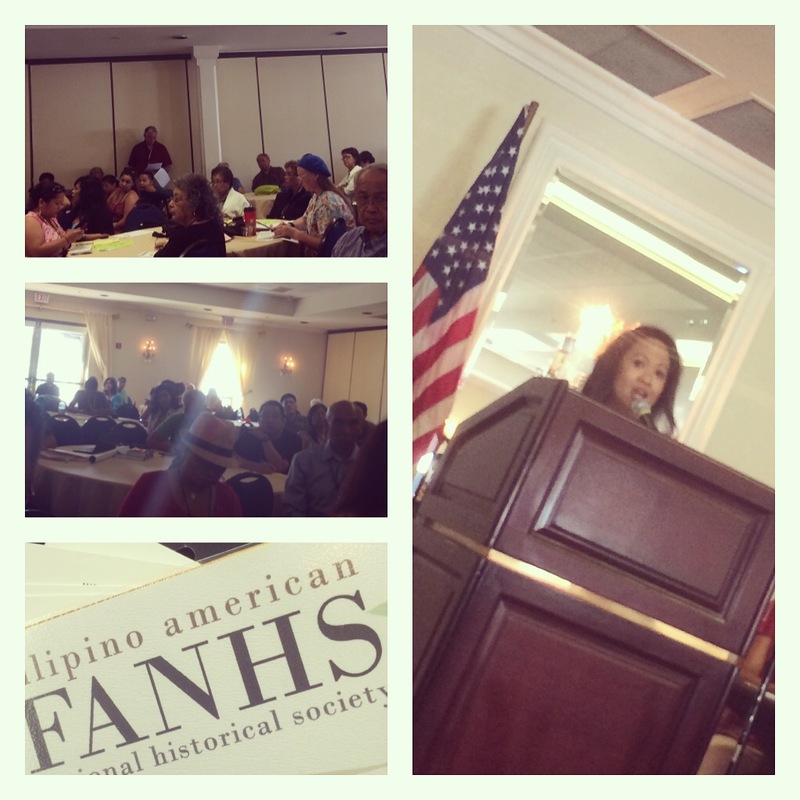 At the biennial Filipino American National Historical Society (FANHS) 2014 Conference there were many different people. Professors from academia, psychologists, military officers, community activists, artists and of course historians were present. Oddly, I wasn’t around hundreds of strangers. A lot of people from across America knew my family from time they spent in Seattle. They were involved in basketball with some, or were on the FYA drill team with others. I couldn’t escape my relatives even traveling alone in California! Unlike others that discussed military history, facilitated cultural workshops, discussed identity issues or political struggles, my work highlighted archive research methods and social analysis. From attending other history panels, I had the pleasure of meeting Tony Ogilvie, who was the Executive Dean at Seattle Central College, and Professor Emily Lawsin from the University of Michigan. Both were willing to collaborate on future work. I sat in also on FREDtalks put on by Julius Paras where many retold their own personal stories. Dorothy and Fred Documentary Teaser from Sabado Productions on Vimeo. I was honored to share my panel session with Pio Decano whose father set a landmark case with the Supreme Court. Before 1940 alien people of color could not own property in Washington. His desire to own his own home set a precedent for equal rights and a dismantling of discrimination. Of course our panel room was filled with people who wanted to hear his family history. They got to hear from me first. The American experience of Filipinos in Seattle and their Pentecostal revivalism in the United States is unrecognized in American history studies and remembered by only a few Christian Mission historians. Easier understanding of this is to observe this history from it’s own context of the early 20th century – not by modern political or social conceptions of religion from today. Unexpectedly, I had to field many religious assumptions from others before the important historical discoveries found were brought up. The main figures discussed were Rodrigo (Rudy) C. Esperanza and E.C. Lagmay. 1. Pre-Civil Rights Multicultural – Intercultural Leadership: Earlier revival movements of the 20th century were extremely multicultural and inter-racial. Based in Biblical sola scriptura views, the effective translation of charismatic Christianity resulted in racially progressive activities by the early Assemblies of God (AG). The Azusa Street Revival, from which the AG stems from, was begun by African American William J. Seymour. In the same strain, Northwest University (formerly Northwest Bible Institute) was an AG school founded by immigrants that fostered an empowering mixed race student body in Seattle’s Roosevelt neighborhood with radical approaches to diversity based on their Christian faith. This occurred during a time of segregation and hostility towards people of color and foreigners in the 1930’s & 1940’s. Multicultural cooperation and engagement was meaningful. “Rudy” Rodrigo C. Esperanza, 1938. The school had an international focus that required students be members of different clubs, or “Missionary Bands”, that represented different regions of the world. The Filipino students were part of the Islands of the Sea Band, not just as members, but as active leaders. Again, this is an early example of respect, equality , and empowerment where minority men like Rudy Esperanza turned ideas and leadership into action within a majority white environment. Additional records found show that Rudy Esperanza was also the Commencement Speaker at the 1938 Northwest Graduation ceremony. These honors, racial harmony and evangelistic efforts would set a precedent for school culture and begin enterprises regionally and globally. Sunday School in Seattle Chinatown. Presently the International District U.S. Postal Office. Weller Street Mission, Seattle Chinatown. Presently Ho Ho Seafood. 2. New Contexts for Chinatown: A common narrative in American history is that Chinatowns were generally a bastion of vice, dance halls, gambling and bars that many from the Manong generation were bound in. In contrast to this, several missions were begun by Rudy Esperanza and the AG Hollywood Temple within Seattle’s Chinatown – International District area. This is new evidence that there was a present and active alternative for Filipinos from the 1930’s-1950’s that served the area in many ways. This counter response was embodied in several locales. 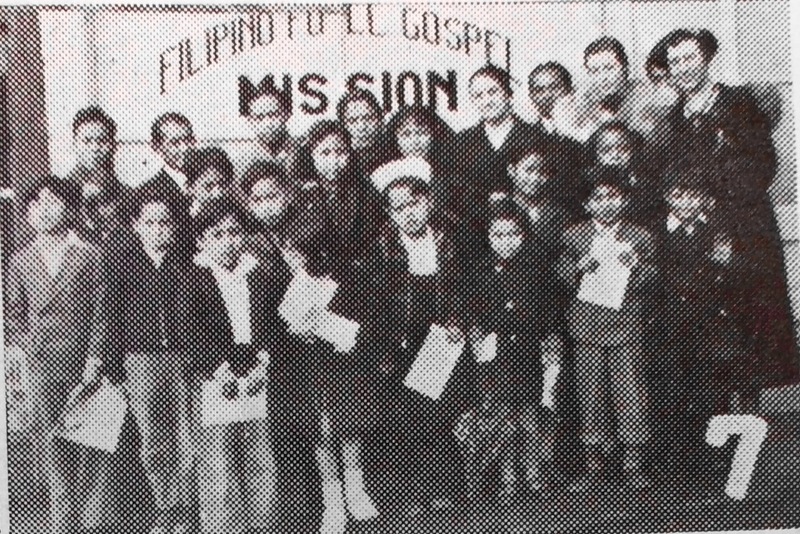 The Filipino Full Gospel Mission [601 King St] was an outreach ministry for students to reach a global audience and teach children in Sunday schools. The Weller Street Mission [651 Weller St] provided a daily night service and open place of Sunday worship in Chinatown. 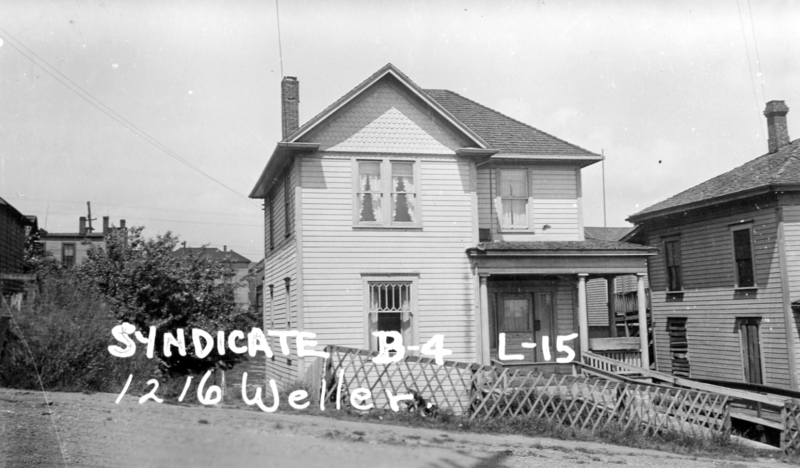 Weller was also known as the Oriental Mission and was run by several of the Northwest Filipino students until 1949. Finally, the Filipino Christian House was a collaborative home that served as a safe haven for Filipinos wishing to rest or escape from the social problems of Chinatown. In parallel it served the same vision as similar organizations like the YMCA and the Salvation Army where the focus was on serving disenfranchised communities and giving a shelter for those seeking God. 1940 U.S. Census, City of Seattle, U.S. National Archives. Filipino Christian House, Puget Sound Archives. Located near the base of the present Jose Rizal Bridge in Seattle. Assemblies of God World Missions Archives, Springfield MO. 3. National & Global Coordination, The Mur-Muray Movement: Their work was not isolated, limited or unique. A wider-scale effort grew from Seattle and also the Bay Area where AG students Rudy Esperanza and E.C. Lagmay agreed to coordinate evangelist movements between the Philippines, the West Coast and across the United States. In American history there have been several revival movements that radically changed the social landscape: The Great Awakenings. This uncovered history marks the beginning of an ethnic awakening of what I will call The Mur-Muray Movement. (Mur-Muray is an Ilocano phrase loosely meaning “trying to wake up”.) Arguably, a revival movement in the United States founded by multicultural leaders, a deterministic social gospel, and individual emphasis on experiencing the Spirit, provided a different kind of freedom and independence from entrenched powers and colonial frameworks. Typically missions work is seen as rich countries going to poorer countries. 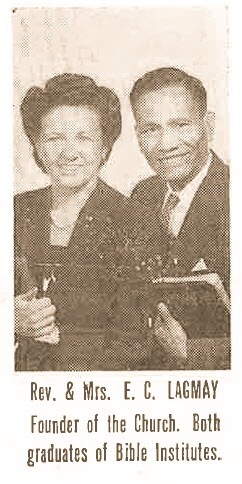 Esperanza eventually became the national General Superintendent of the Philippines General Counsel AG Church, and coordinated with Lagmay who became the President of the American Filipino AG church. They brought missions to evangelize back to America instead. Although most Filipino Americans were confined to the West Coast or urban areas, the Filipino Evangelistic Team had recorded work with thousands of people as far as Kansas and Oklahoma. Additionally, The Mur-Muray Movement in the U.S. helped facilitate the larger charismatic “Born Again” movement ocurring in Asia and the Philippines of today. Kansas – Oklahoma, 1942, Flower Pentecostal Archives, Flower Pentecostal Heritage Center, Springfield MO. The Necessity of Understanding this History: Expanding this work from a historical viewpoint is necessary as the earliest experience of Filipino Americans with Pentecostal Christianity in America is not fully recognized. Others may claim that their missions work with modern Filipino Americans as new while evidence shows the underpinnings and presence for intercultural faith engagement come from an earlier revival period. Further, a religious understanding for the attraction and differences of pentecostal or charismatic faith is not articulated for Filipino Americans. The multicultural, egalitarian, and decentralized founding of Pentecostal faith from earlier Awakenings and revivals engaged in labor movement reform, social justice efforts, racial equality and even feminist awakenings. These areas of Christian faith history and the involvement of Filipinos creates a unique transformation shaped by American revivalism. E.C. 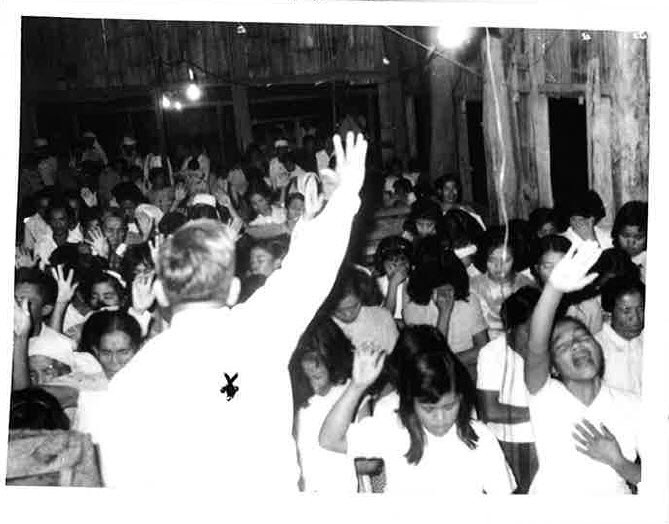 Lagmay, Ilocos Sur, 1960’s, Assemblies of God World Missions Archives, Springfield MO. The AG is the largest Pentecostal denomination in the U.S. and the world; it is the sixth largest denomination worldwide in wider Christianity. (edit: Reader adds that AG is 9th largest for North America per NCC of 2011.) Knowing this, inspecting the history of how Filipinos were involved at their advent becomes a necessity in asking how and why growth is occurring. Today, the Filipino-American Convention of the AG is one of the oldest ethnic churches from within the denomination. Coincidentally, the AG is celebrating their Centennial celebration (AG 100) this week with attendees from around the world including domestic Filipino delegates and the indigenous Philippines AG delegation. Evangelical, pentecostal and charismatic practices are expanding within the United States especially in the form of multi-ethnic partnerships; the Philippines estimates some 15% practitioners of Pentecostalism or Charismatic faith. This is a transition from other Filipino American studies I have noticed where the questions and findings revolve around political forces and social inequality. More work will be done on this subject in the future, with more in-depth articles and likely a future book. Additional information on Philippines mission history can be found by Dr. Dave Johnson who advised some of my early research. His book is at http://daveanddebbiejohnson.com/. Islands of the Sea Missionary Band, 1937, Northwest University Archives. This entry was posted in History and tagged AAPI, American, American Ethnic Studies, American History, APA, API, APIA, Asian American, Asian Pacific Islander American, Assemblies of God, Born Again, Calvary Christian Assembly, Calvary Temple, Charismatic, Chinatown, Chinatown History, Christianity, Civil Rights, devin cabanilla, Diversity, E. C. Lagmay, FANHS, FilAm, Filipino, Filipino American National Historical Society, history, Hollywood Temple, Ilocano, Iloko, Intercultural, Manong Generation, Multiculturalism, Northwest Bible Institute, Northwest University, Pentecostal, Philippines, Rudy Esperanza, Seattle, Seattle History, The Great Awakening, The Mur-Muray Movement, United States. Bookmark the permalink. Reblogged this on Circumcised Heart. I would have loved your presentation because I seek more pre-1940 history sessions, but there were so many parallel sessions at FANHS-SD that I missed yours about the Filipinos at Northwest University in 1937-1938. Thanks for sharing it here.